The milk and cream that we use to produce our flavoursome ice-creams and sorbets is sourced directly from Ann Forshaw and her family at Bolton Fold Farm & Alston Dairy on the outskirts of Longridge, within 1 mile of our premises. Ann's sons Neil and Steven run the farm and produce milk which she uses in her yoghurt making dairy situated on their farm. The rich cream is removed by Ann to make her delicious low-fat skimmed milk yoghurt. We buy milk from the farm and cream from the dairy. 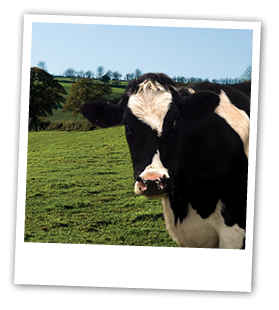 The short distance from Bolton Fold to us means our milk and cream is produced the day we collect it in milk churns. You simply can't get any fresher than that! We are different to many ice-cream producers in that we use in-house produced ingredients wherever possible. For example, our strawberry ice cream is produced using a puree made especially on the day of production from fresh strawberries in our own production kitchen. We ensure that the raw ingredients used in all our products of the best quality so that you don’t have to compromise on flavour.